We love soup for Meatless Monday or after Saturday morning sport. However often a plain vegetable soup can be low in protein and leave you hungry later on, so I’ve added chickpeas which are a terrific source of plant based protein and fibre. Adding pear brings a beautiful sweetness to this dish. This soup is very simple to put together with the oven doing the bulk of the work. 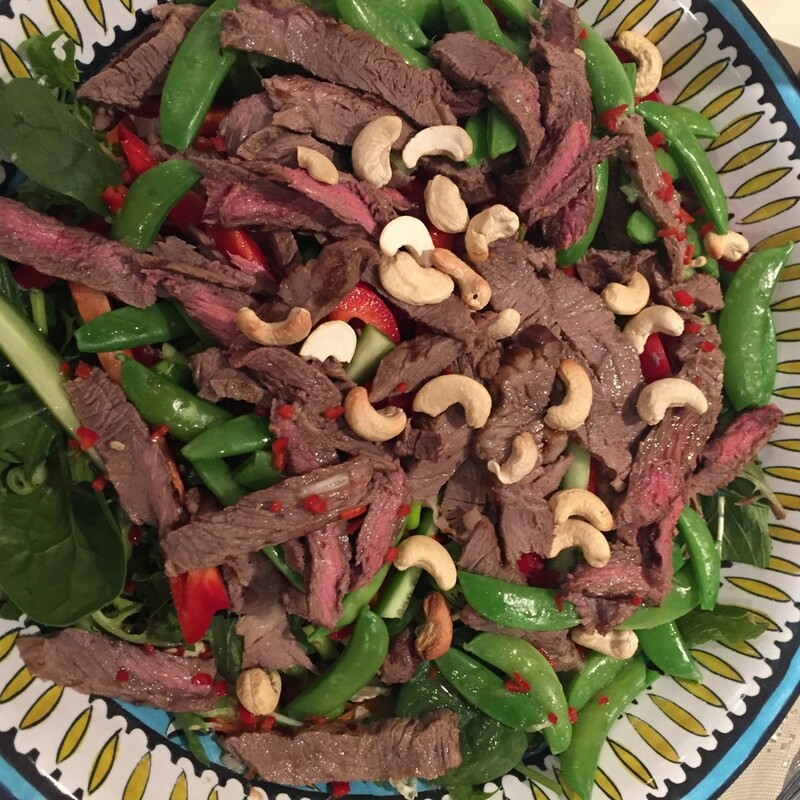 This is how I like to eat in summer - a big salad topped with delicious steak. I discovered this salad when I was pregnant as I was trying to increase my iron stores and eat lots of leafy greens. It's now a firm family favourite and perfect for my teenage children who need zinc and iron for growth, energy and immunity. Season the steak with the pepper and cook in a hot pan with a little olive oil until medium rare. Remove from the pan, cover loosely and allow to rest for about 5 minutes then slice thinly. Combine the salad leaves, tomatoes, green beans, capsicum, cucumber, onion and herbs. 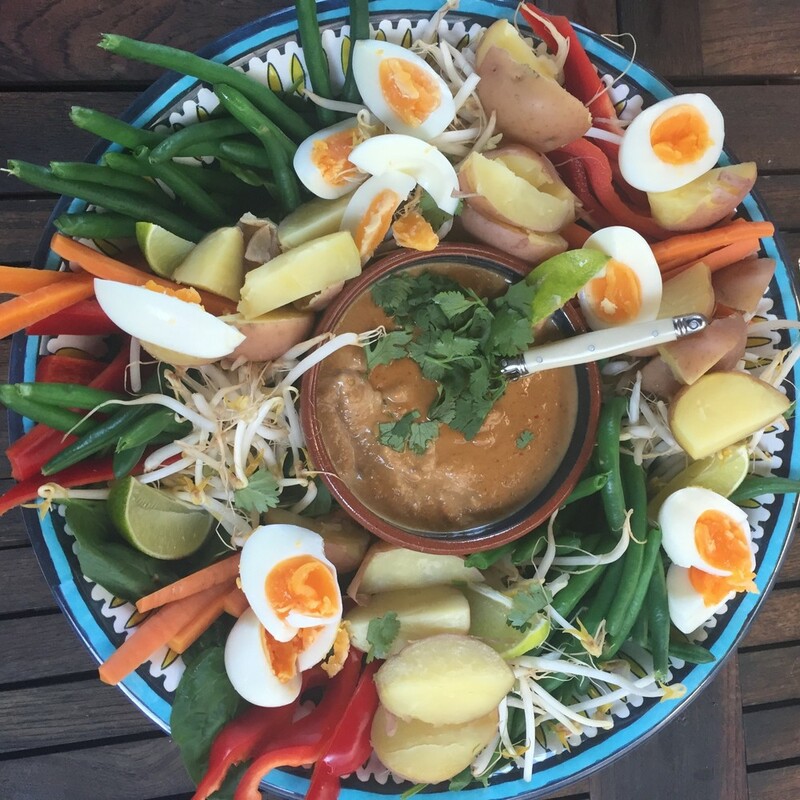 Make the dressing by mixing the lime juice, chilli, fish sauce and sugar. Pour the dressing over the salad and mix through. Top with a small handful of cashews. 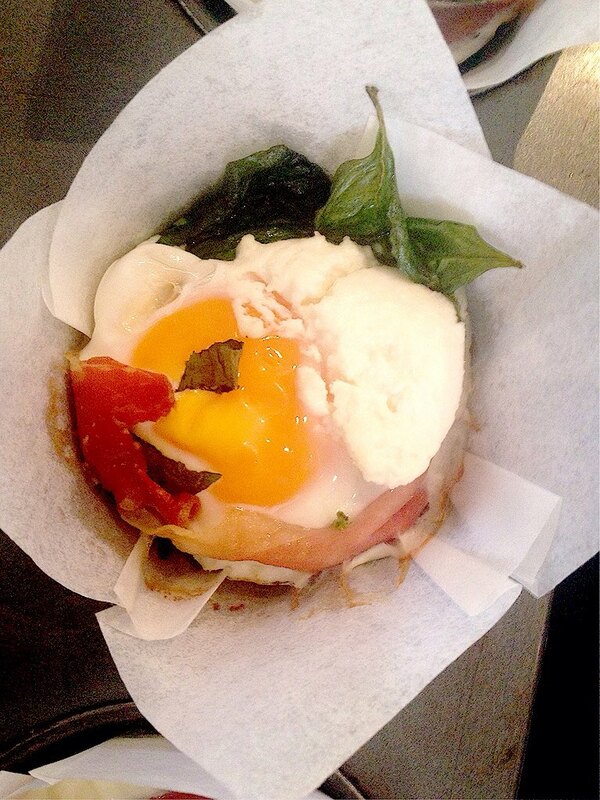 Divide between serving bowls and enjoy. Lean chicken breast, grilled fish or grilled firm tofu can be used in place of the beef. In a large, deep frypan (with lid) heat a splash of olive oil. Finely slice the fennel, onion, chill and garlic and add to the pan. Saute for 5 to 10 minutes until the vegetables have softened. Add the white wine and let it simmer for a couple of minutes then add the passata and most of the basil (chopped). Simmer for a few minutes. 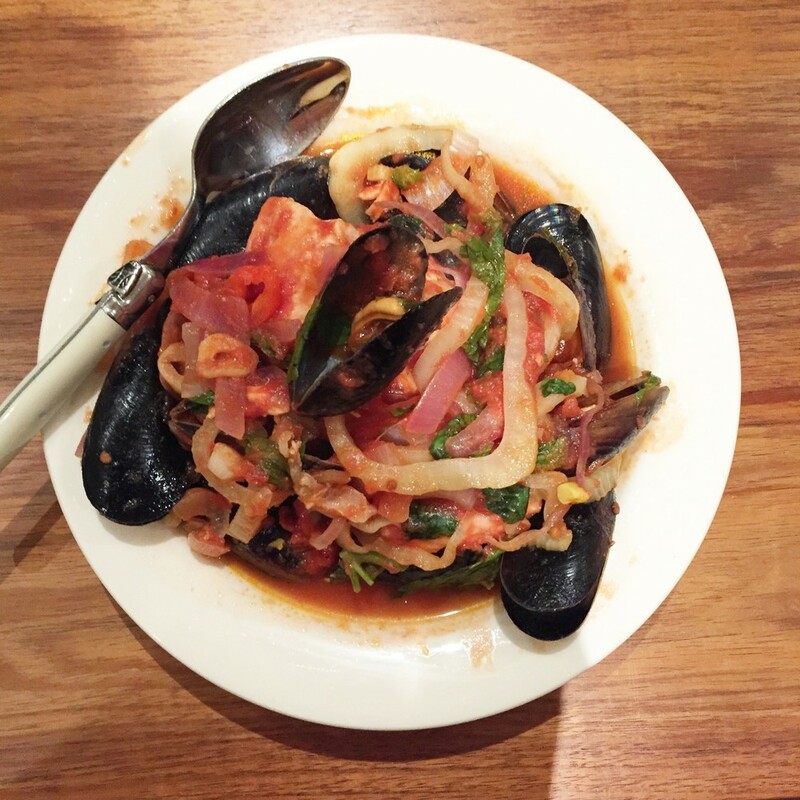 Add the mussels. Put the lid on the frypan and allow the mussels to open. When the mussels have opened (throw away any that remain closed), the fish will be cooked through (roughly four minutes). Serve with crusty bread and a big green salad. This is a fabulous recipe for a night where you are tired - the oven can do all the work. Our oven has a reliable oven timer so I often pop this on to cook while I am driving around to pick the kids up from rugby practice etc. It won't spoil if you leave it in the oven for 10 more minutes. 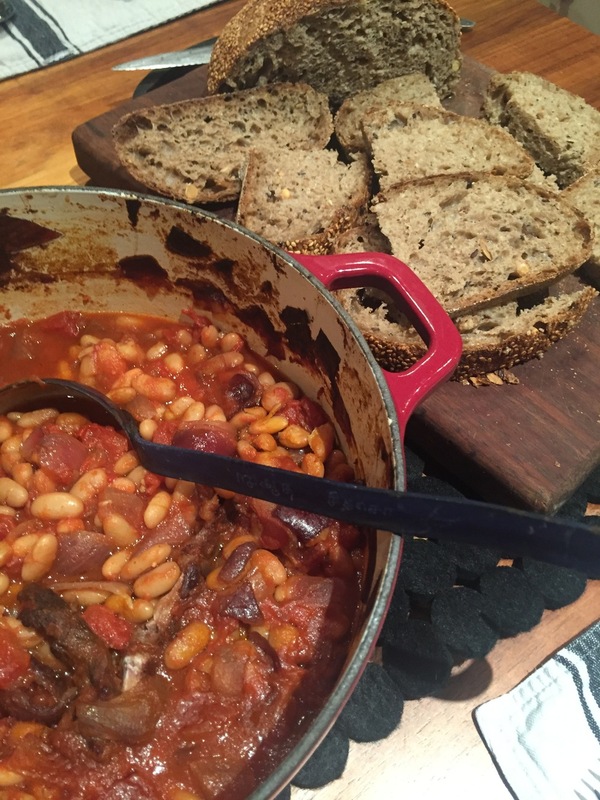 You can vary the veggies depending on what the team will eat and also add a tin of cannellini beans to make a cheats' cassoulet. Cut the onion into quarters, and the head of garlic in half crosswise. Cut the eggplant into half and then rounds, the zucchinis into diagonal slices and the capsicums into thick slices, discarding core and seeds. Arrange in a large oiled baking tray, burying the garlic halves cut-side down. Add the canned tomatoes and their juices, and a dash of water. Tuck in the pricked sausages, drizzle with olive oil and scatter with thyme and rosemary, sea salt and pepper. Bake for 30 minutes, then add the zucchini and turn the sausages. Cook for another 15 minutes, until the veggies are cooked and sausages are browned. To serve, scatter with olives, rosemary and thyme. Squeeze the roasted garlic on top, and drizzle with the pan juices. Today I've got two sick children so I'm making soup for dinner. Soup, particularly vegetable based soups are a great option nutritionally as they combine lots of key nutrients including vitamins and minerals for relatively few calories. Tonight's soup is full of tomatoes, my son is happy to eat this although he will "never, ever eat a tomato". 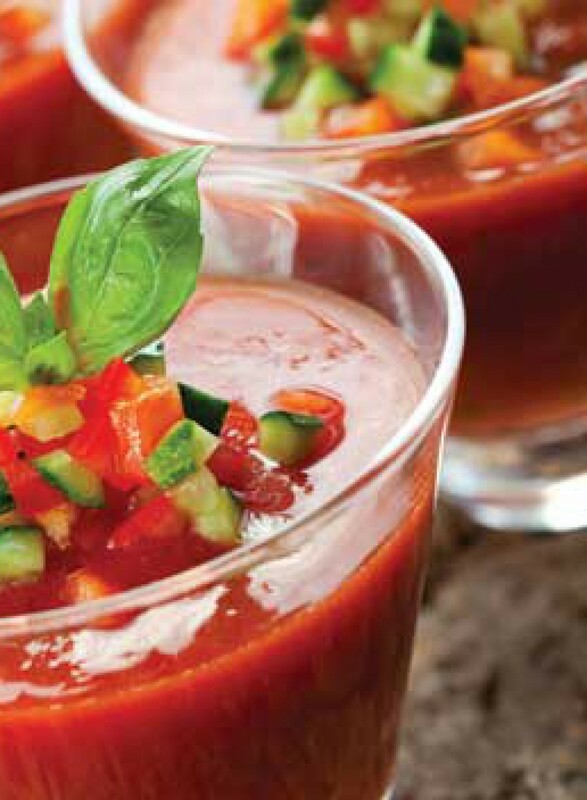 Tomatoes are a wonderful source of vitamin B6, C, K, beta-carotene, potassium and manganese. The lycopene in tomatoes has been linked to lower rates of heart disease and cancer. 1kg tomatoes, quartered or halved depending on size. I like a mixture of truss and romas. Put tomatoes, garlic and onion in a roasting pan and drizzle with olive oil and maple syrup. Season to taste. Squish garlic out of skin, and discard skin. Add all vegetables and juice to saucepan. Add the canellini beans and process the mixture with a stick blender. Add water (I tend to use closer to 250 ml as I like a thick soup) and heat through gently. Given the choice I am sure everyone in my family would be able to eat at least 4 or 5 lamb cutlets at a go. However they are expensive and we just don't need to be eating such large amounts of protein at the expense of vegetables and pulses. 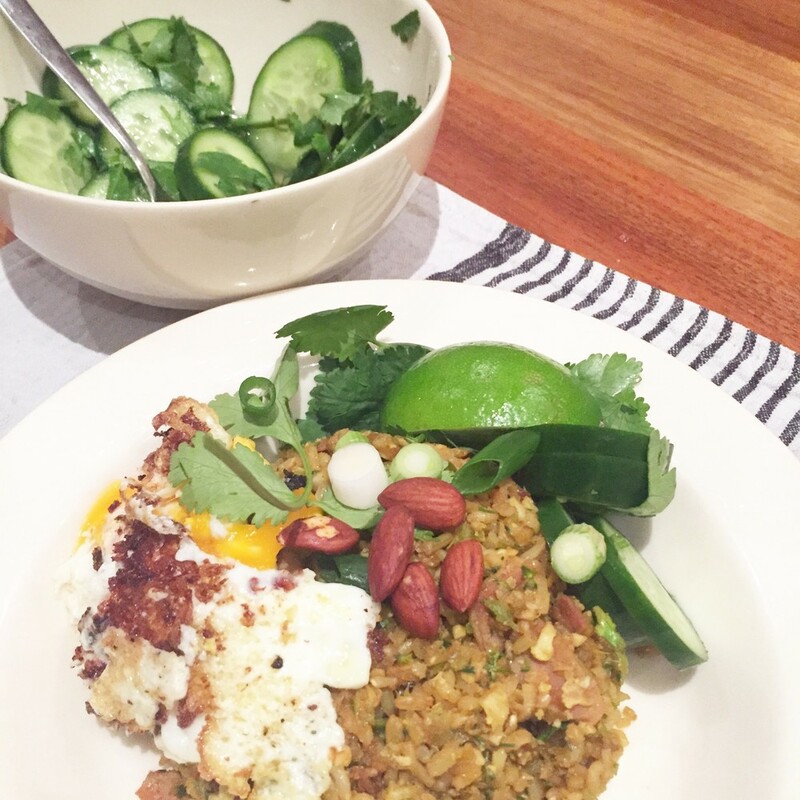 Lentils are a great way to balance out the proportion of meat to non-meat on your plate. This is a delicious quick dinner and if you are having vegetarian guests you can increase the lentil salad size. While you are prepping dinner you can add another tin of lentils and increase the quantities of tomatoes, cucumbers and feta and prepare a quick lentil salad for lunch the next day. Toss tomatoes in 2 teaspoons oil, season and place on a baking tray. Roast for 15 minutes until soft. Meanwhile, rub lamb with rosemary and 2 teaspoons oil. Season, then cook in a frypan over medium-high heat for 4 minutes or until browned. Turn and cook for a further 3 minutes for medium-rare, or until done to your liking. Rest the lamb, covered loosely in foil, while you warm lentils in a small pan of simmering water for 5 minutes. Drain lentils and toss with diced cucumber, lemon juice and remaining tablespoon of oil. Season. 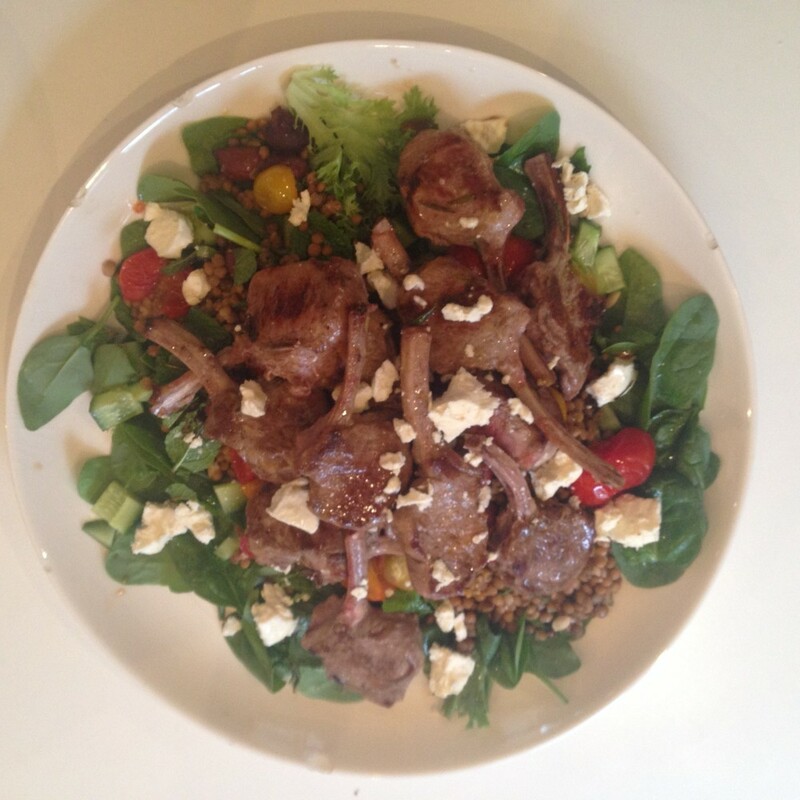 To serve, place baby spinach on platter, scatter lentils on top, top with slices of lamb and scatter with feta, tomatoes, olives and fresh mint.